The AFL NAB Cup Games are being played all over Australia this weekend . The NRL Season kicked off in a Knights VS Dragons Game , on Thursday 1 March . 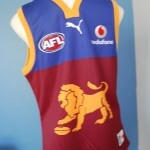 Large country towns are also seeing some footy action , with the Lions versus Blues Game in Queensland, a sellout . Last weeks torrential rains , rendered the Bombers unable to fly , disputing their namesake , and creating an opportunistic win for the Saints . All Clubs have grappled with injuries to players , off field dramas , hatchings , matchings and despatchings , over the off season Summer months. Currently Melbourne FC are dealing with issues confronting talented indigenous player Liam Jurrah . 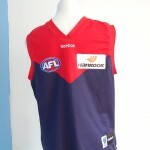 Fans , wearing their football jumpers , jerseys , guernseys , are eager to enjoy the pre- season NAB Cup , prior to the AFL 2012 Home and Away Season starting on Saturday the 24th March . 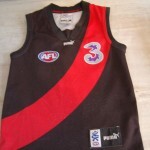 This entry was posted on Friday, March 9th, 2012 at 9:13 am	and is filed under AFL, football jumpers, NRL. You can follow any responses to this entry through the RSS 2.0 feed. Both comments and pings are currently closed.